Q. How is the driving experience and overall performance of the Harrier? Q. What are the features and top speed of Harrier? Q. How is the base model? Q. 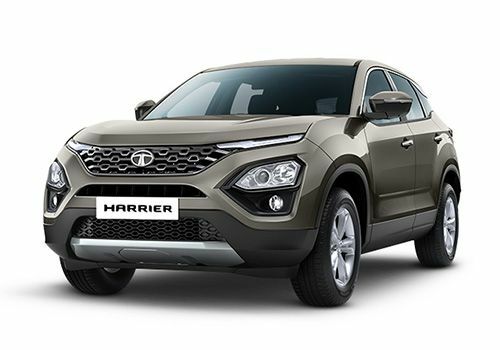 What is the special of Tata Harrier? Q. What are the advanced features offered in it? Q. Will the company launch a petrol 4*4 car? Q. Would it be suitable for the hilly terrains? Q. Is there any petrol model available? No, it is available in diesel fuel type only. There is no official update regarding its petrol version for future. Q. Will sunroof and auto gear shift option be available? Tata has christened the Harrier's engine as Kryotec 2.0 and has confirmed that it's ready to meet the future BSVI emissions standard. It is powered by Tata’s new Kryotec 2.0-litre turbo-diesel engine. It makes 140PS of max power and 350Nm of peak torque. The engine is mated to a 6-speed manual gearbox. Q. Can three persons are comfortable in second row? Being a mid size SUV car, you can expect it that it will be comfortable for 3 persons at rear seats but for final conclusion, we would suggest you to wait till its launch. Tata Harrier have best in class space and seating comfort beacause of bigger Land rover discovery sport platform. Q. Is auto transmission will also be launched in Jan 2019? Q. Can it run on off-road like four wheel mode? We can't give any verdict here as it hasn't been launched and we haven't tested yet. The Harrier misses out on a 4x4 system but gets terrain response modes. Q. What are the Specifications of TATA Harrier? As of now, the brand hasn't revealed its full feature list. So, we would suggest you to wait till its launch. Q. What is the price of Tata Harrier? Q. What is the mileage of Tata Harrier? Q. What are the specs and features of Tata Harrier? Q. What are the top competitors of Tata Harrier? Q. What are the top variants of Tata Harrier? Q. What is the EMI of Tata Harrier? Q. 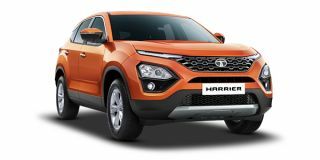 What are the colours available in Tata Harrier? Q. What are the diesel variants of Tata Harrier? Q. What is the fuel tank capacity of Tata Harrier? Q. What is the boot space of Tata Harrier?